Designed by your class just for you! 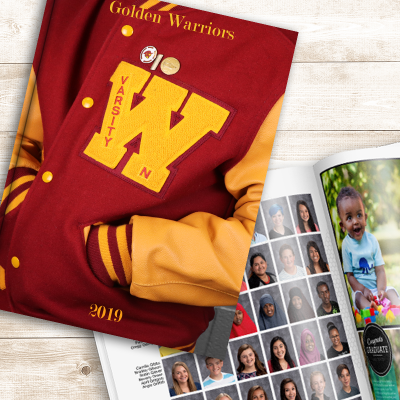 These tri-fold announcements feature a maroon and gold foil crest and “Class of 2019” on the cover. It opens along the curved stripe to reveal The Warrior Way. Open the announcement again to uncover the three main panels. The text announcing your graduation is printed on the center panel and an etch of WNHS spans the 3 panels. The right panel includes die-cuts to hold your name card and senior picture (not included). Sold in packages of 20 with matching inner and outer envelopes. Please note: The announcement style may vary depending on availability. No matter what, you will still receive a foil announcement designed just for your school! 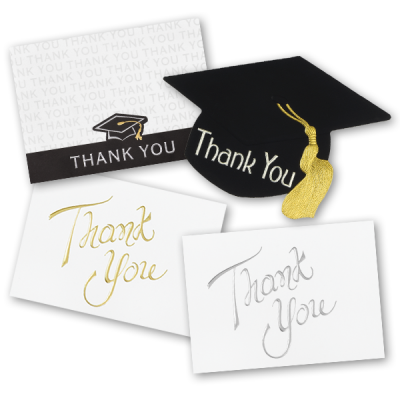 Personal note cards can be used as thank you cards or for a professional touch, students can send personal notes to prospective employers following an interview. 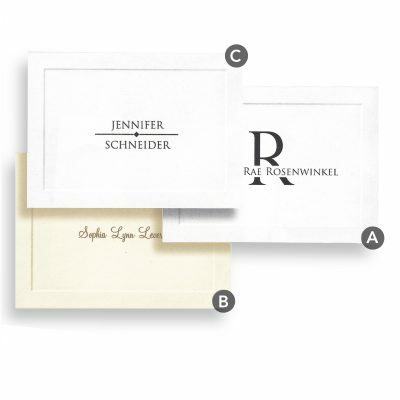 All styles are available in either white or ivory vellum with black ink and include matching envelopes. Name cards are available in two styles and are used to personalize your traditional announcements. Both styles will be printed on white paper with the font matching your announcement. 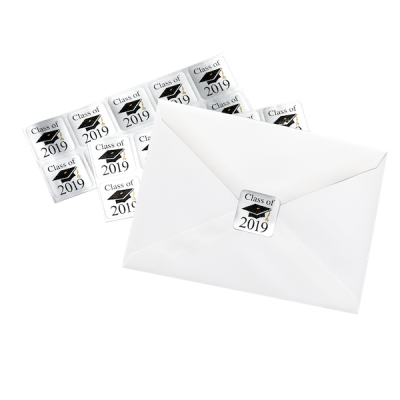 Personalized return address labels feature an eye-catching, black graduation cap that is accented in gold and silver foil above your graduation year. Printed on translucent material for use on any envelope! Limit 18 characters per line. 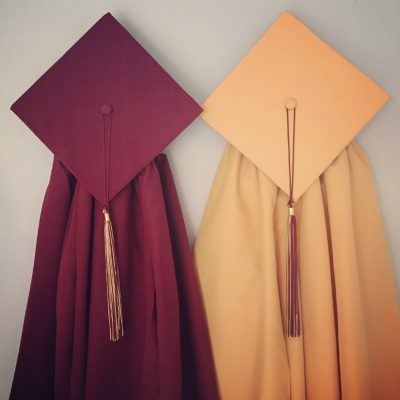 A necessity for your graduation ensemble. Be sure to say thank you to those who send you a card or gift. Select your style from the dropdown for more information. All thank you notes are available in sets of 20 with matching envelopes. 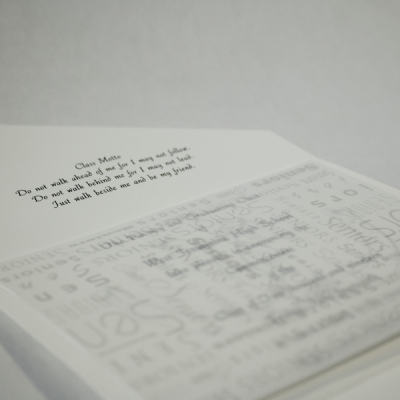 Announcement Inserts began as necessity to prevent ink transfer between pages, announcement inserts are now a tradition that add a touch of elegance to your announcement ensemble. 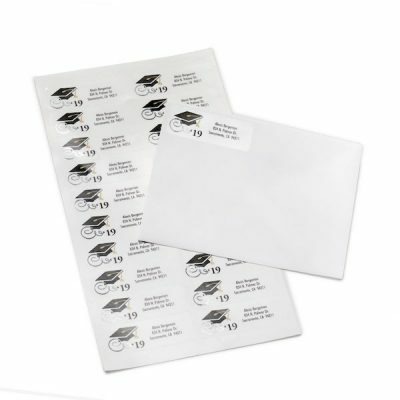 A stylish “Seniors” design is printed on translucent inserts. Slip inside your announcement for a beautiful finishing touch. 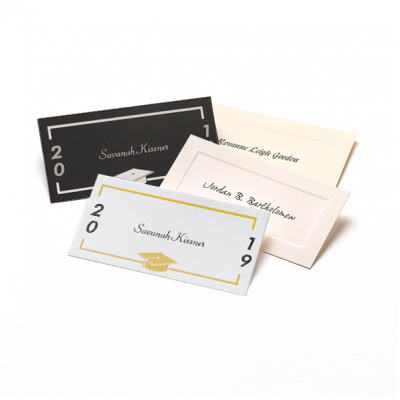 Silver foil “Class of 2019” square envelope seals with a black cap and gold tassel design to coordinate with our return address labels. The perfect accent for announcements and thank you notes.